MOANS® is an artisan brand specilaizing in unique statement pieces. We use classic costume jewelry manufacturing techniques, vintage cabochons and lampwork glass to create inspiring and jaw dropping items. We can offer retailers limited time exclusives and custom made items for their customers. We also design costume pieces for theatrical shows. 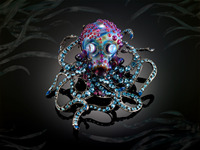 Our Octopii are ideal for galleries who show wearable art. Ideal for collectors of truly unique and handcrafted items. 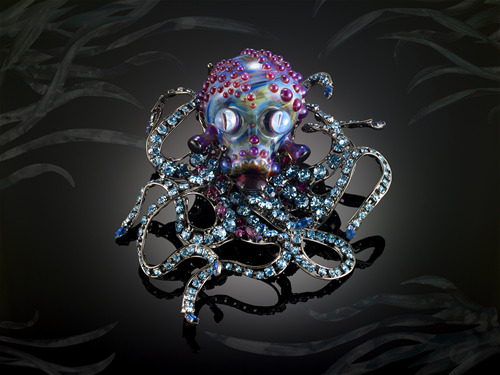 Our glass artist starts by making the head and eyes, adding color and texture to truly show quality craftsmanship. Then we finish it with wire work done by hand. Matching colors to enhance the beauty of the glass. Add a three strand enhancer necklace to add versatilty. Great for grabbing attention and showing customers a uniquely sculpted item. Another ideal item for galleries who show wearable art is our stag beetle. Ideal for collectors of truly unique and handcrafted items. Our glass artist starts by making a blown glass cabochon with color rod and texture. Then we finish it with stampings, rhinestones and cabochons. Matching colors to enhance the beauty of the glass. Great for grabbing attention and showing customers a uniquely sculpted item. Our swan pin with a blown glass belly resembles vintage jelly belly jewelry, it's just larger. 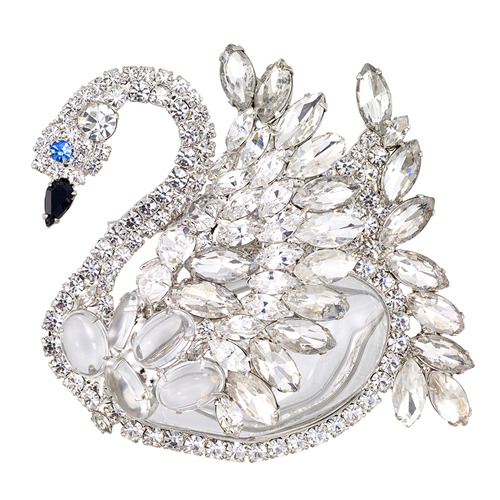 We first introduced this pin as part of a curated collection for The Met Opera Gift Shop. This pin was created for the opera "Cosi Fan Tutti" and on excluive for the The Met's 2017-18 opera season. 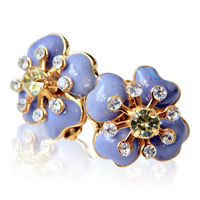 We are the first company in the united states to make poured glass jewelry. 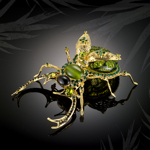 Paté de verre or poured glass jewelry was first introduced by Augustine Gripoix in the late 1800's, working with Coco Chanel she helped created the byzantine look that is so valued by today's collectors. Chris met the challenge given to him by one of his Swiss accounts. This technique is still made today in France by only two companies. So we like to say, "Realized in France and reimagined in the USA". 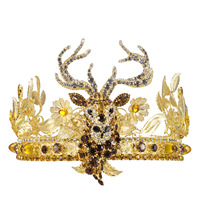 Chris Crouch, our designer, has become known for his creative headpieces and coronation jewelry. 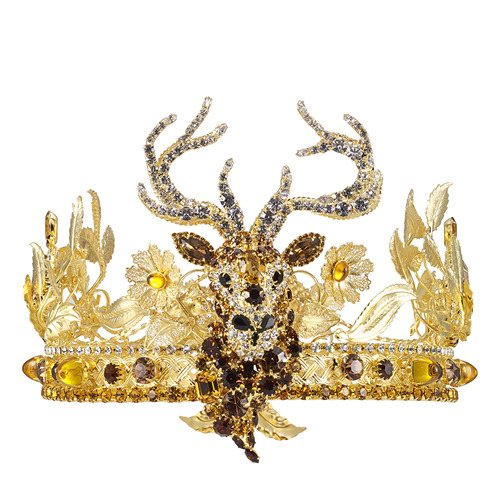 Using our best seller, the stag brooch, he created this crown for a renaissance organization. The new king was of Scottish heritage and what better symbol to choose for that then the stag. We use a proprietary process to create this small sculptures by hand. The stag sells year around and is especially good for holiday sales.